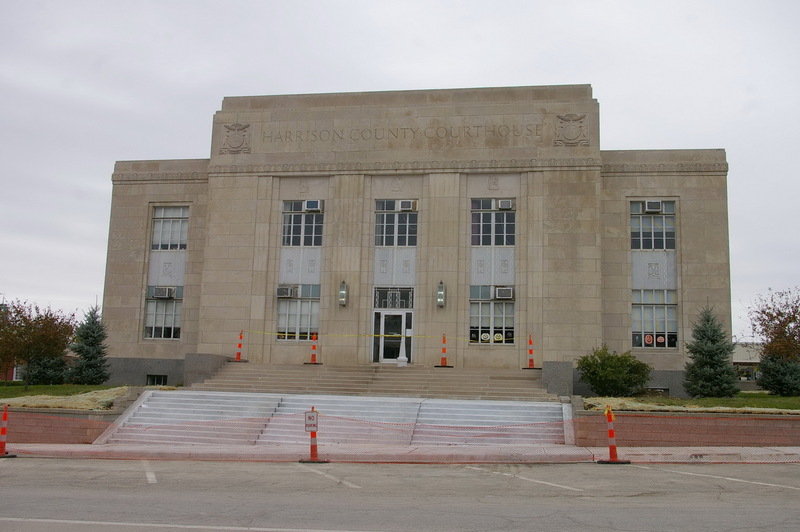 Harrison County is named for Albert G Harrison, who was a Congressman from the State of Missouri. Description: The building faces south and is a three story gray colored stone structure. The building is 87 by 83 feet with a high center section and lower east and west wings. 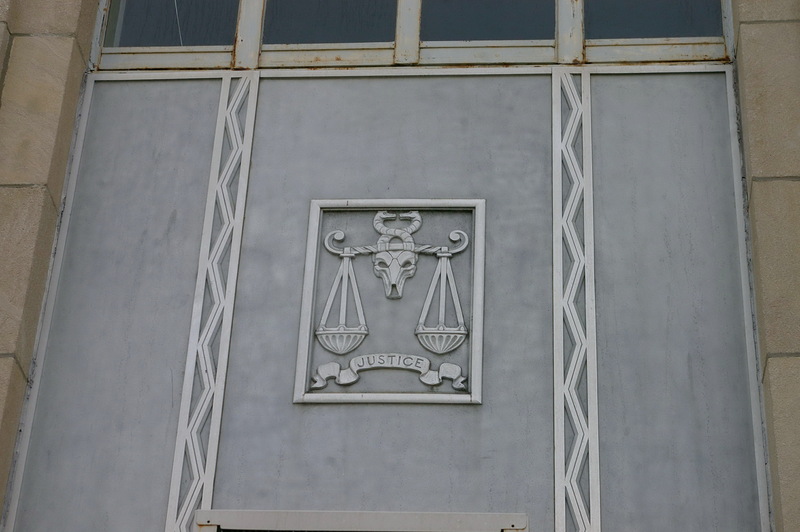 There are decorative panels between the first and second story windows. The roof line is flat. 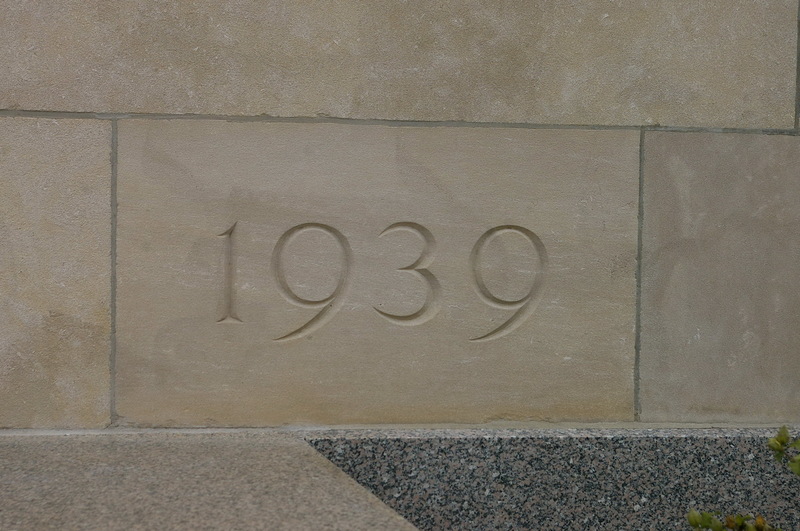 The building is a Work Project Administration. 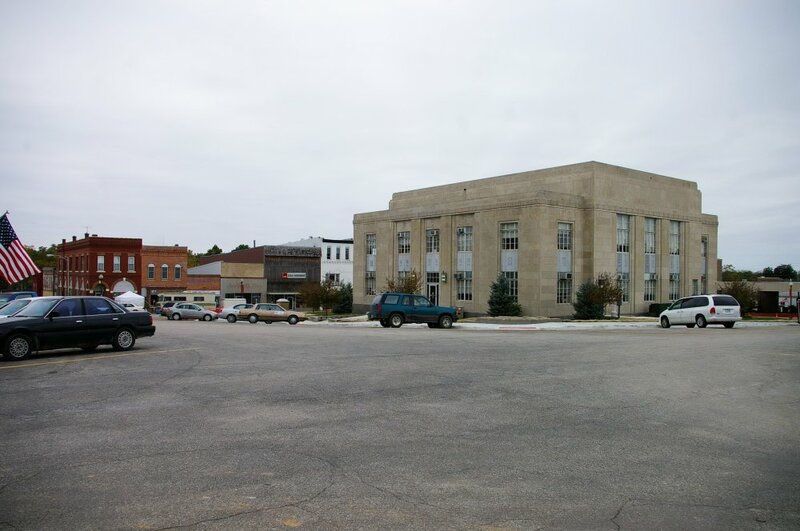 Note: The first courthouse was designed by John S Allen and built by Elkana Grover in 1845. 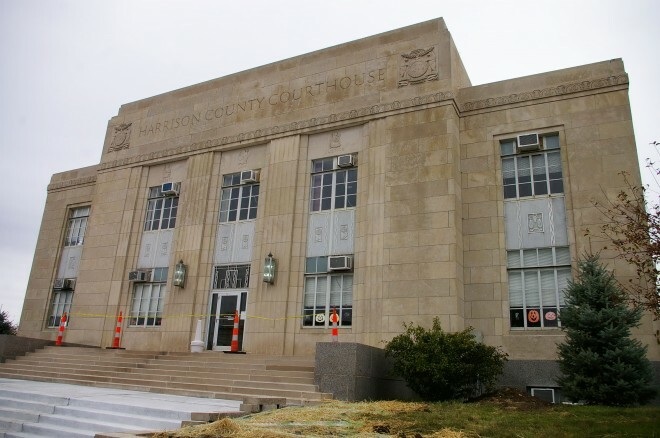 The second courthouse was built in 1857 by Asbury Allen and Allen S Meek for $9,732. In 1874, the next courthouse was designed by W Angelo Powell of St. Joseph and built by Benton Edwards and Isaac Hayes of Macon. 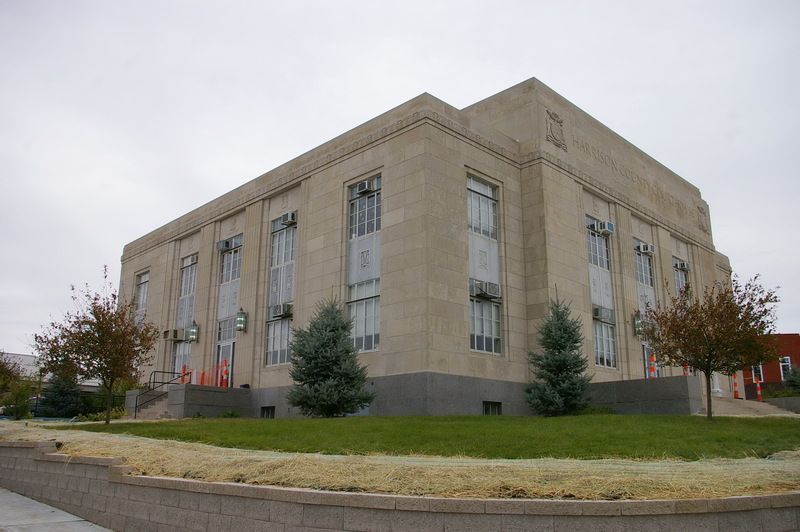 The cost of construction of the present courthouse was $124,000.